At the start of the 2018 season, Bobby Pierce made the switch to Dunn-Benson Motorsports. Until last night, his best Lucas Oil finish of the season was a 5th which he earned at East Bay Raceway Park back in February. Pierce has spent his career driving a Bob Pierce Race Cars chassis. This year, he’s in a Rocket for the first time. While on the road, he’s been chasing a feeling in the race car. This weekend, Bobby Pierce has landed on very familiar grounds. The tour rolled into the Midwest and Tri-City Speedway on Friday night. Pierce put it on the pole and led flag to flag in the feature. What won the race for you? 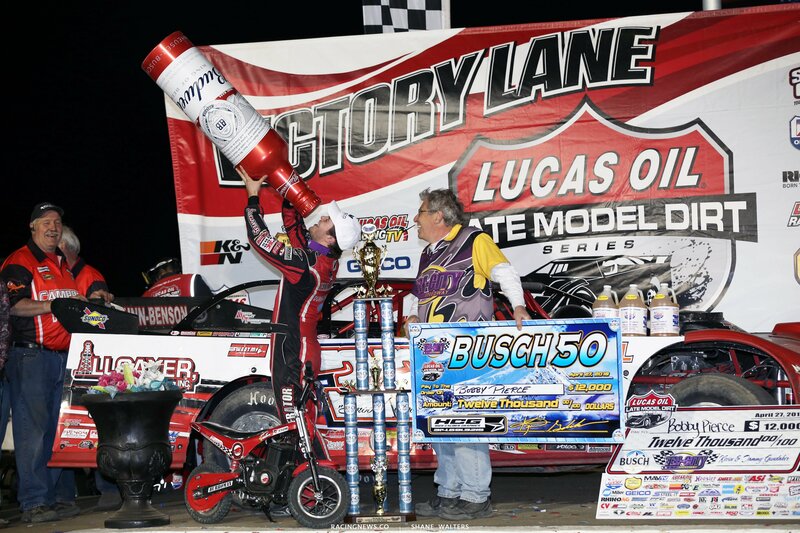 “I think with these Lucas races it all comes down to qualifying and the heat race,” Bobby Pierce told RacingNews.co after his win at Tri-City Speedway. Pierce was 25th quickest following the 4 hot lap sessions. He took the car back to the hauler, put it in surgery, jumped back out on the track for qualifying and jumped straight to the top of the board. The track locked down to the bottom in the feature. As Pierce caught the tail of lap traffic, he would struggle to get around them. That would allow the leaders to stack up nose to tail. Once Pierce moved around a lapper, he’d open up a gap. Until he caught the tail of the field, then 2nd on back would once again reel in his rear bumper. It was an accordion for the 50 lap main event. Pierce knew that was happening. He was watching the crew sticks on the infield and knew who was on his bumper. But, he couldn’t swap lanes to move around lapped traffic. Bronson attempted that at one point in the race, he fell from 2nd to 4th. Carlton Lamm, the co-owner of Dunn Benson Motorsports passed on April 16th. Last weekend at Port Royal Speedway in Pennsylvania, the 4 wide salute honored Lamm. Pierce led the four wide salute in the tribute. The very next race, he went to victory lane for the first time with the new team. He did it in his home state. Tonight, the tour heads to another familiar track for Pierce. The Lucas Oil Late Model Dirt Series will invade the Mighty Macon Speedway in Macon, IL. 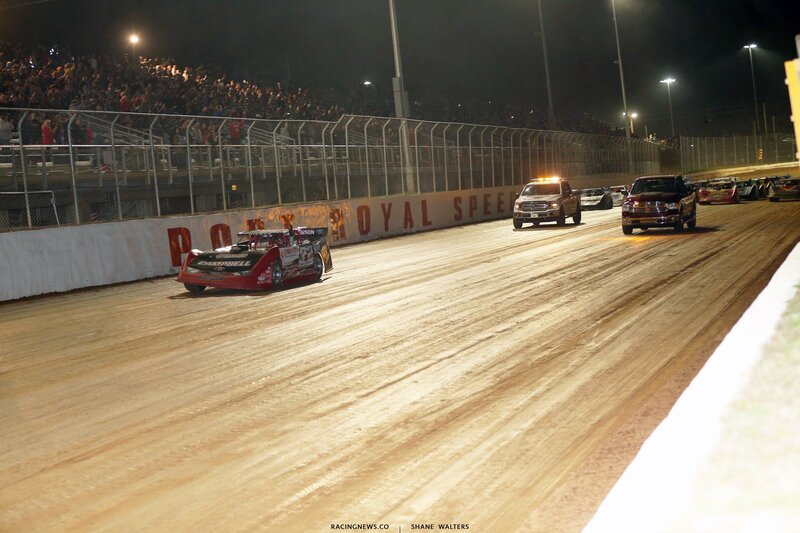 How much risk is on the dirt track promotor when hosting the Lucas Oil Late Model Series?